Okay, so it there was only a sprinkling of snow—a dash, if you will—during our recent ride at Dash Point, but it was just the bit of magic we needed to remember that winter mountain biking can be fun as well as bitter cold. When the snow started dumping, the four of us were watching it from inside a nearby Starbucks, sipping hot coffee and raising our body temperature. 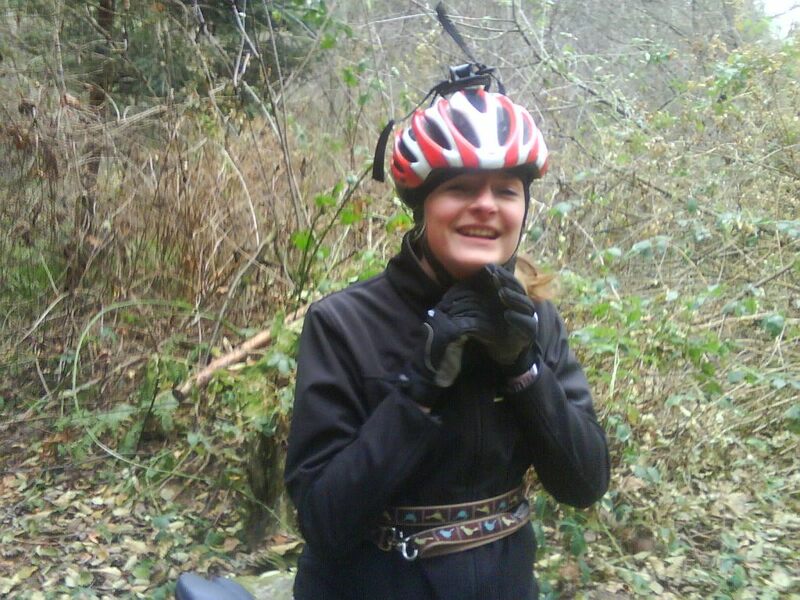 But a snappy, hour-long spin through the woods will also keep you warm. 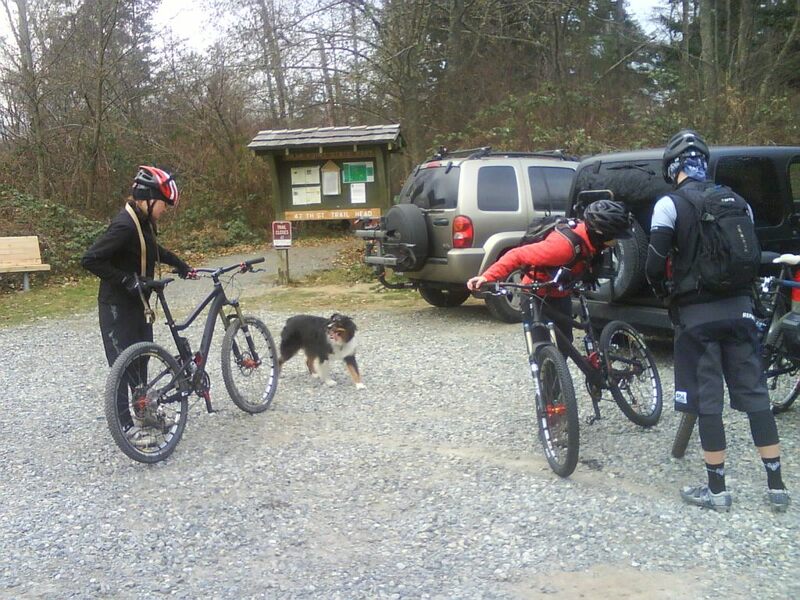 Considering the park is less than 30 miles from Seattle, it’s a great option for winter training. Conditions: It’s been more cold & dry than wet in the Seattle-Tacoma area recently, so it isn’t surprising that the trail system is in great shape. You’ll notice a few small patches of frozen trail, but nothing that will cause you to slide out of control as long as you lay off the brakes. The Ride: Bounded by housing developments and more than half a mile of Puget Sound shoreline, this 398-acre state park with camping facilities offers 11 miles of flat-to-rolling, spacious singletrack with several loop options through second growth forest. The trails are marked for difficulty, and they range from easy cruising lanes to narrower and steeper non-technical routes. Cutting through the center of the park, the wide Boundary Trail hooks up with Beach Trail to take you north to the shore of Puget Sound. Or head in the opposite direction by peeling off of Boundary onto Heart Attack and access any number of fun loops and routes, like IMBA Trail. 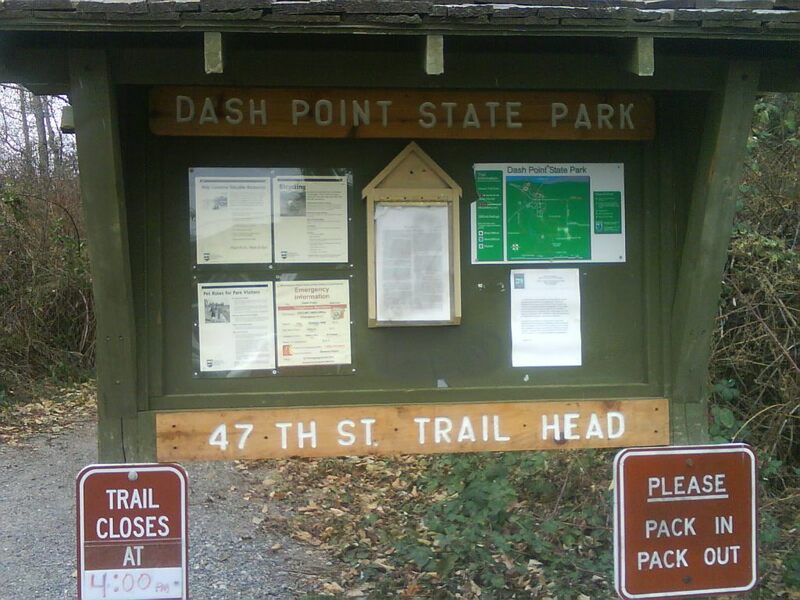 An ideal training ground for beginners, the trail system at Dash Point will keep more experienced riders alert owing to the occasional root, small log, chance hiker or off-lead dog darting into your path. 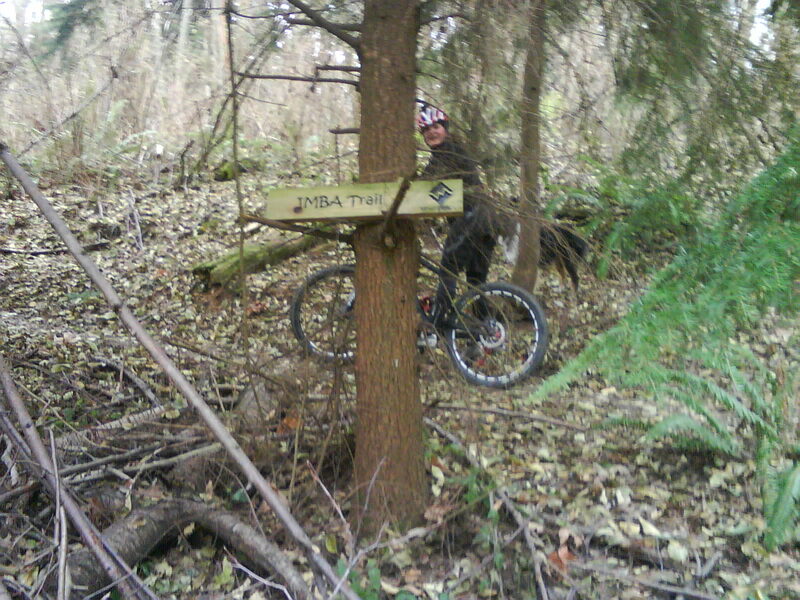 A few short, steep climbs also do much to break up the uniformity of the trail system. There are couple of trails marked as difficult, like Night Crawler. While it’s a fun, smooth descent with a couple of sharp turns, the black diamond designation is a bit misleading. 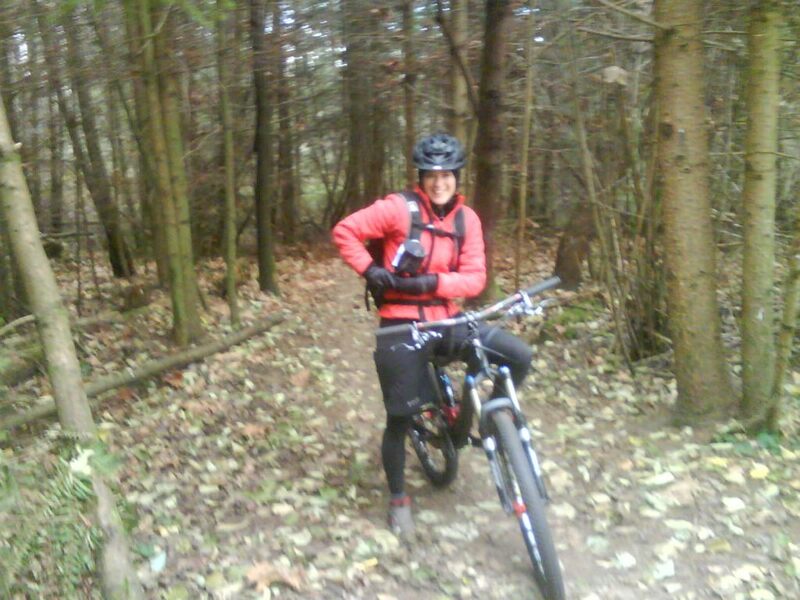 Of course, one rider I met in the parking lot post-ride said the trail gets tricky when wet, so perhaps the rating depends on trail conditions. Ride responsibly, in any case. Tighten your helmet and ride responsibly, like Virginia. Dash Park is prime ground for singlespeed riding, so try going gearless. Or break out your night lights and see if riding in the dark makes the trails feel like black diamond rides, after all. It’s a great place for night riding, says Paulie G.
About a year ago, Evergreen Mountain Bike Alliance and local advocates helped preserve mountain bike access at Dash Point State Park by convincing the Washington State Parks & Recreation Commission that the park should be designated a “Resource Recreation Area,” which allows bicycle use, instead of a “Natural Area,” which does not. Thanks to all for making our ride this winter possible. Virginia and Susan had fun riding Diamondback Sortie Black demos. Directions: From Seattle, drive 20 miles south on I-5 to the 320th Street Exit (#143). Turn right, and drive west on 320th St. for four miles. At the intersection terminus, go left on 47th St. for ¼ mile. Just after the bus stop, turn right into the gravel parking lot. For alternate trail access, take a right on 47th St. and then turn left onto Highway 509 (Dash Point Rd. Drive). The main entrance of the park is two miles down this road. 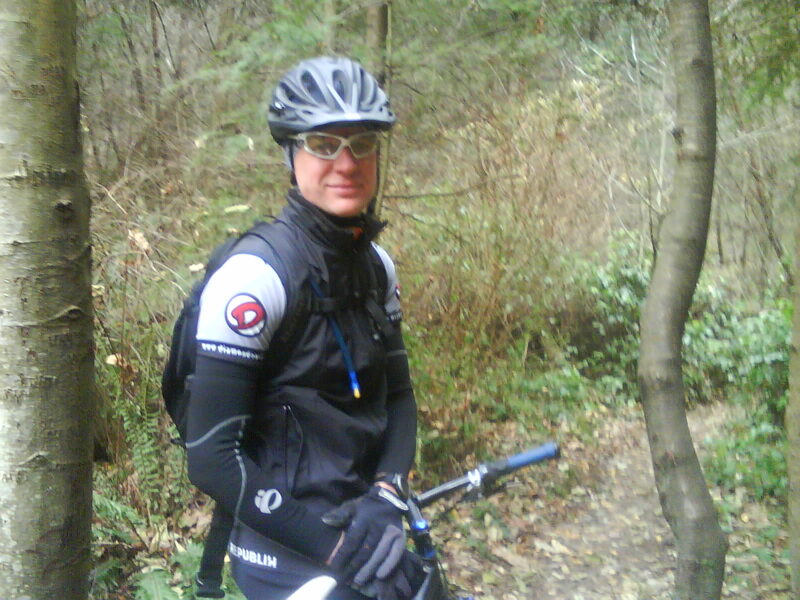 This entry was posted in Biking, Federal Way trails, Washington (Western) and tagged biking in snow, Dash Point State Park, Federal Way, mountain biking, Washington. Bookmark the permalink.